This week, the Mayor of London, Sadiq Khan, announced the creation of the largest double-decker electric bus fleet in Europe, with 68 new electric double-deckers set to join the bus fleet in London. Mr Khan revealed that the number of electric double-deck buses in London will increase more than tenfold, and that two routes run by Metroline from Barnet to central London will be exclusively operated by electric double-decker buses. Optare will supply 31 all-electric double deck buses for TFL Route 134 running from North Finchley bus station to Tottenham Court Road to start operation next summer. The innovative Metrodecker EV has been developed from the wheels up by Optare with support from its customers, vendors and partners. The unique integral space frame design of the Metrodecker EV means it weighs in at only a few hundred Kilos more than the diesel equivalent and has a plated GVW of 18000kg. The Metrodecker EV bus for London will carry over 90 passengers with a range of over 150 miles on a single charge. 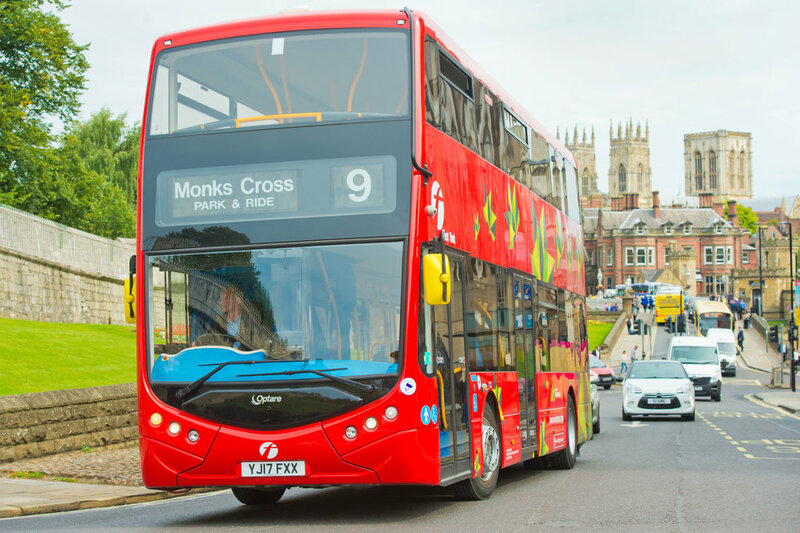 The Metrodecker EV in-service trials in York last year. The Metrodecker EV in-service trials in Leeds last year. This announcement follows the news last week of the first order for Metrodecker Euro 6 buses for Reading Buses.